Thirty-two buildings in 14 communities with over 600 affordable housing units will be more energy efficient with the help of $1.6 million from Columbia Basin Trust. Delivered in partnership with the BC Non-Profit Housing Association and BC Housing, the program helps provide energy conservation upgrades for affordable housing in the Basin. Twenty organizations will be receiving over $1.6 million for projects that range from installing new boilers to insulating attics. This is in addition to the $900,000 allocated in the first intake, which committed to upgrading 500 units in 25 buildings in 13 communities. 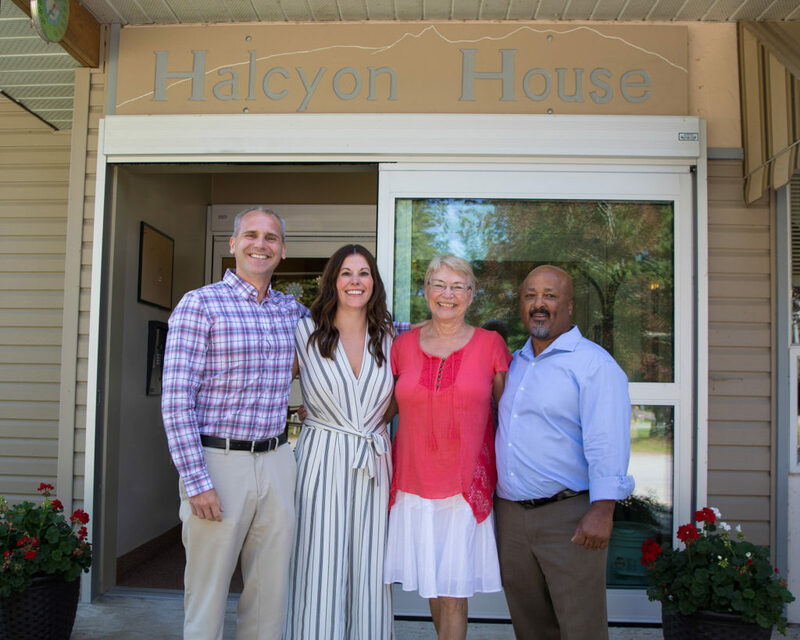 Johnny Strilaeff, President and CEO, Columbia Basin Trust; Robyn Hicks, Manager, Halcyon House; Nakusp Mayor Karen Hamling; and Tim Payne, Executive Director, Halcyon Assisted Living Society. Halcyon House in Nakusp is one of the grant recipients. The assisted living facility, which houses 17 units for seniors, was built in 1980 and was dealing with aging equipment. The Halcyon Assisted Living Society will now be installing new heat pumps, replacing insulation and upgrading lighting throughout the building. To see the full list of projects funded, visit ourtrust.org/energyretrofit2018. Residents told the Trust that affordable housing, energy conservation and non-profit support were priorities for them; the Energy Retrofit Program addresses all three. Learn more about the Trust’s work in housing at ourtrust.org/housing. The Trust is also developing an energy sustainability program for community purpose buildings. The program is expected to be launched later in 2018 and aims to lower energy consumption and costs by supporting energy retrofits and generation measures to enhance the building’s sustainability.